The 2016 Junior World Championships will be held in Wrocław, Poland. The event will be held from July 31-August 6, 2016 at the facilities at the Pola Marsome fields and the finals will be staged in the Stadion Olimpijski (Stadium), a venue of the 2017 IWGA World Games. The sponsoring organization in Wrocław has budgeted for 40 teams from 20 nations (about 1,000 players) while the previous events (combined with other European Youth Ultimate activities) were slightly biggger: the 2014 event in Italy hosted 25 nations (1,200) and the 2012 event in London supported 47 teams (1,100 players). 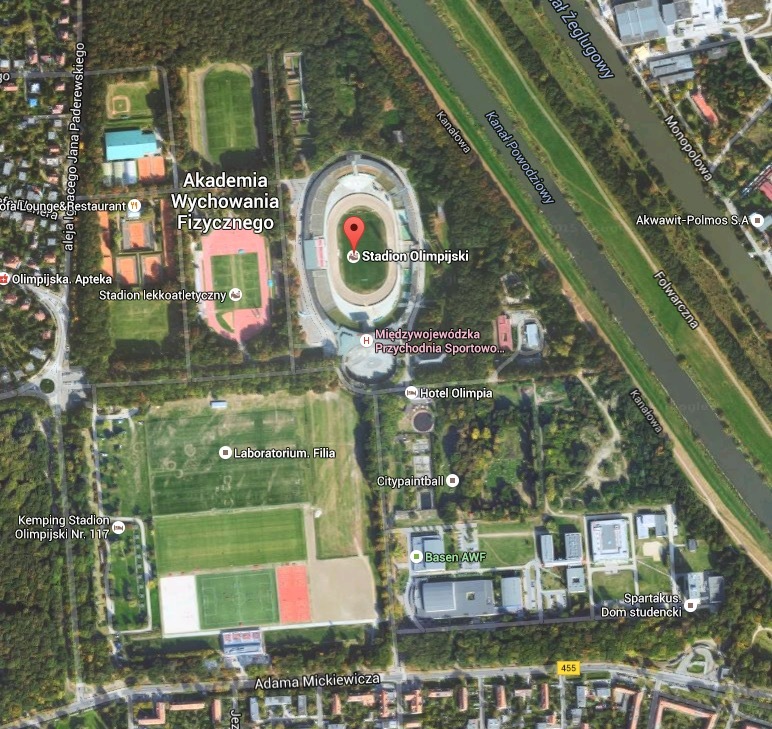 Satellite view of Olympic Stadium complex in Wroclaw, Poland. The coaches for the U.S. U-20 Open and U-19 Women’s teams will be Chase Sparling-Beckley (Portland, OR) and Jamie Nuwer (San Francisco, CA), respectively.